Feb 07, 2017 | By CENS | KAI SUH SUH ENTERPRISE CO., LTD.
KSS is a globally recognized branded vendor of wiring products. Kai Suh Suh Enterprise Co., Ltd. (KSS), the leading maker of cable ties and wiring accessories in Taiwan, who was named a “Top-100 Taiwan Brand” by the Branding Taiwan Program sponsored by MOEA of Taiwan in 2011, has successfully run business by prioritizing professionalism, quality and service for 47 years, supplying a wide range of wiring products to over 40,000 accounts in 110 countries. 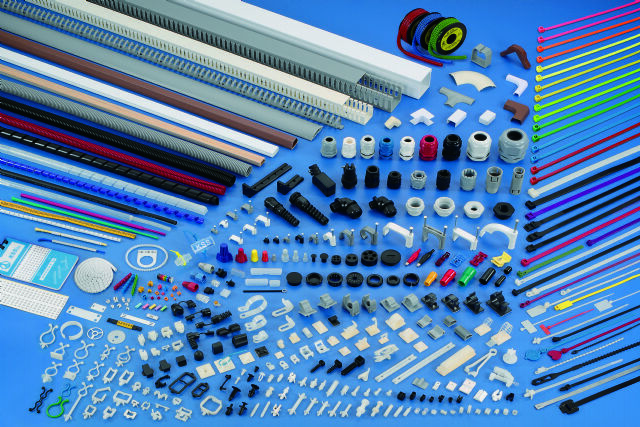 The ISO 9001- and 14001-approved KSS offers a wide array of cable ties, cable ducts (raceways), markers, clamps, clips, bushings, wire connectors, PCB supports, strain-relief bushings, cooling sleeves, electronic and computer products, PCB parts, PVC insulated tubing, other electronic parts and assemblies, wiring accessories and many others. KSS-made cable ties are versatile and come in various sizes for tying cable and many other objects. Clearly a world-standard supplier, KSS products are quality certified to international standards as VDE, GL, DNV, LLOYD, UL, CSA, ABS and RoHS. KSS has recently set up its global business operational base in the Duchia Industrial Zone in Chiku District, Tainan City, southern Taiwan, which covers some 1.8 million square feet and includes a modern plant boasting fully-automated production lines, with the most advanced, computer-controlled injection and extrusion machines to produce 1,000-plus kinds of products.